Note: the PHP_EXTENSION_XDEBUG environment variable is specific to the thecodingmachine/php. It automatically configures Xdebug for the container. 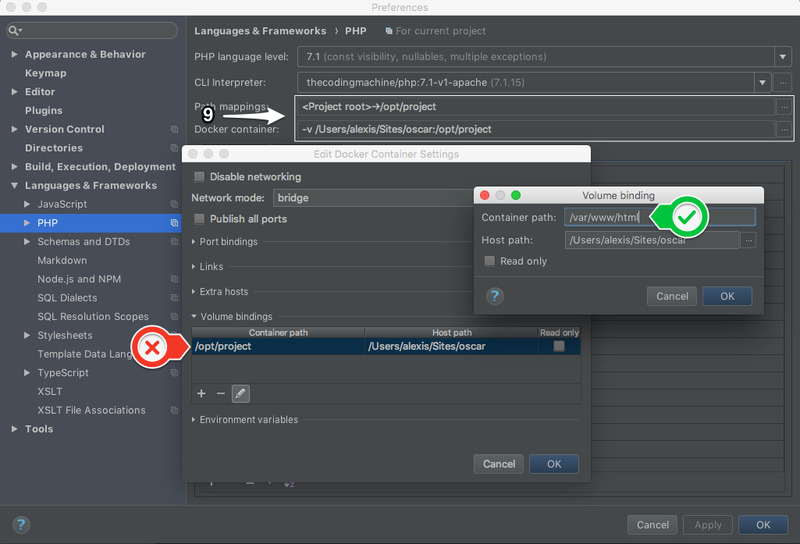 Keep in mind that PHPStorm opens port 9000 (by default) so Xdebug can connect to it. 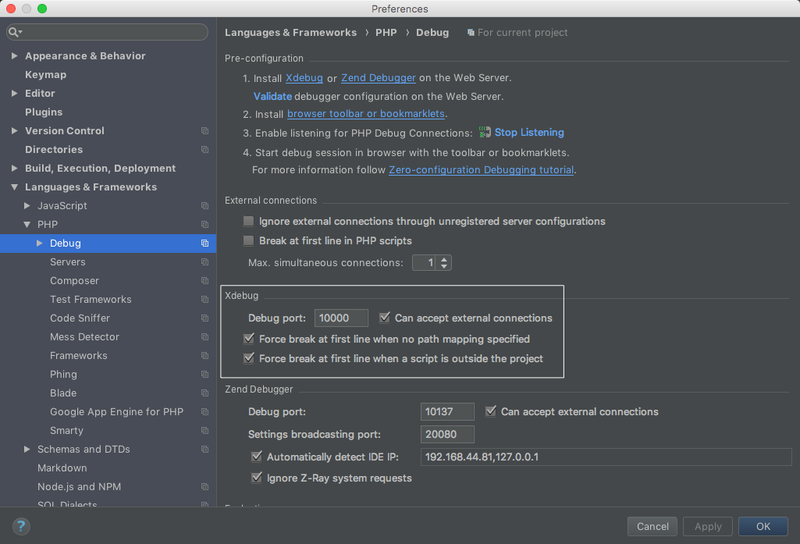 Our PHP container has Xdebug installed and Xdebug will try to connect to PHPStorm on port 9000 by default. ... except if port 9000 is already taken by another program on your host (your machine running PHPStorm). Port 9000 can be already used. In particular, if you are using PHP-FPM, the default port for PHP-FPM is 9000. This directly conflicts with the XDebug port. If you want to use another port for Xdebug, follow the instructions below. I recommend to use port 10000 instead. Otherwise, just keep the default configuration port. 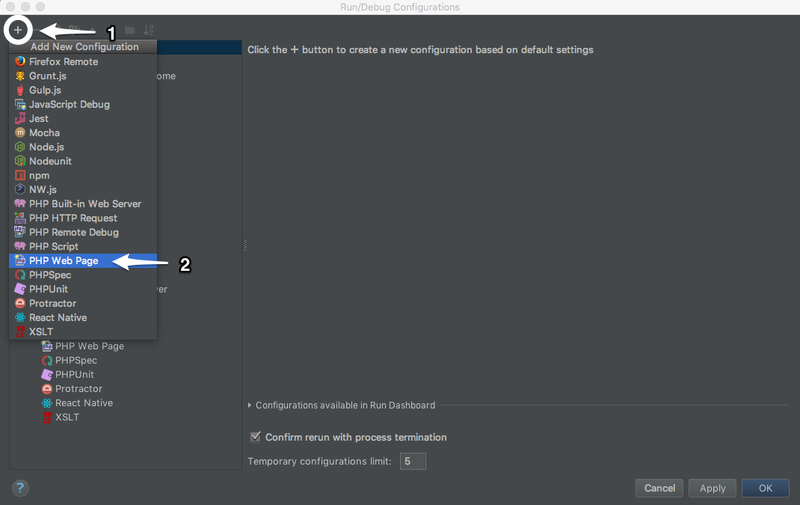 First, click on edit configurations, on the top right of PHPStorm window. Then, follow the explanation in picture. All numbers are explained below. (5) Once it's done, you are on debug server page. Click on "+" button to create a new one. (9) We need to add path mapping. 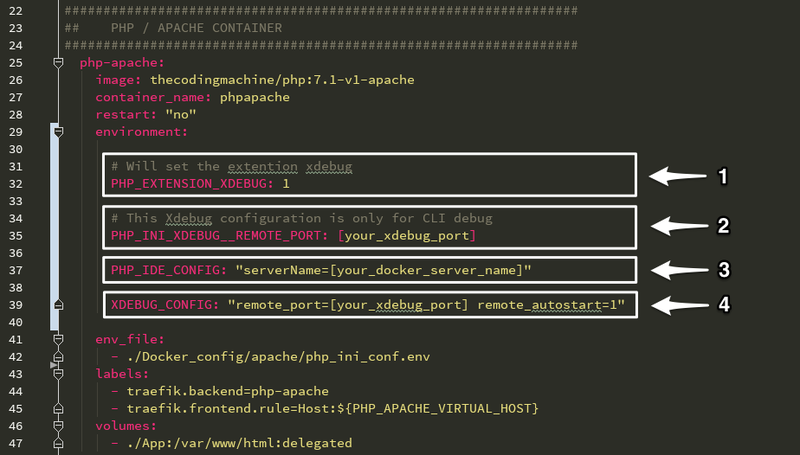 Indeed, from the point of view of Xdebug, the PHP application runs in the "/var/www/html" (we are in a container!). 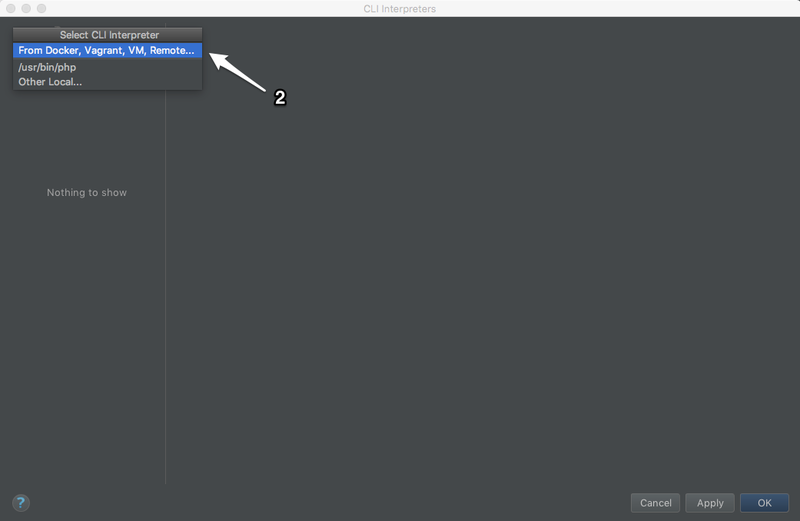 But for PHPStorm, my project is in my host machine directory! So we need to map the root of your PHP application to the "/var/www/html" directory, as shown on the image above. At this point, you should be able to put a breakpoint in your code, start a debugging session and get the application to stop on the breakpoint. 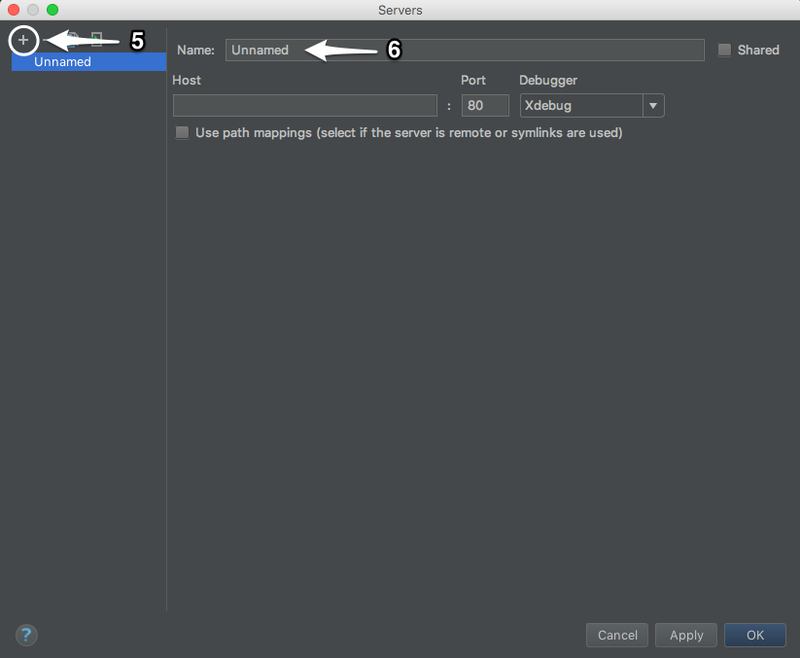 Jump to chapter "Run Xdebug" to see how to use Xdebug. Remember that we are using our technical director's (David Négrier) images. 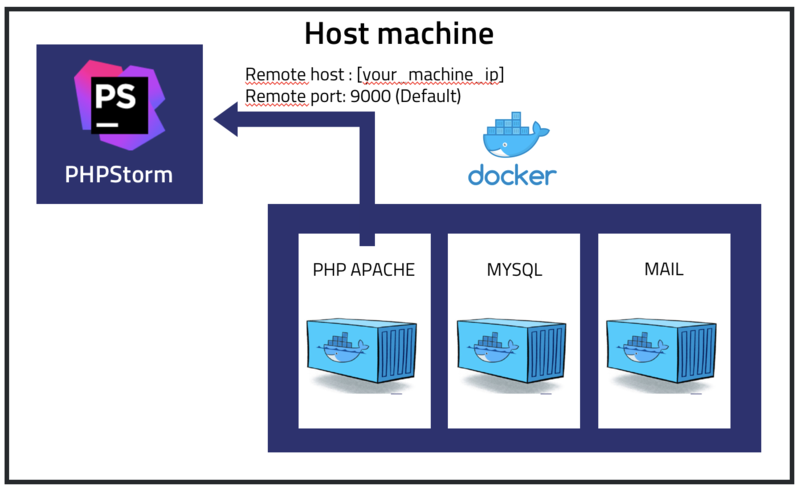 That's why we can set PHP extensions, PHP .ini configurations into the docker-compose.yml. 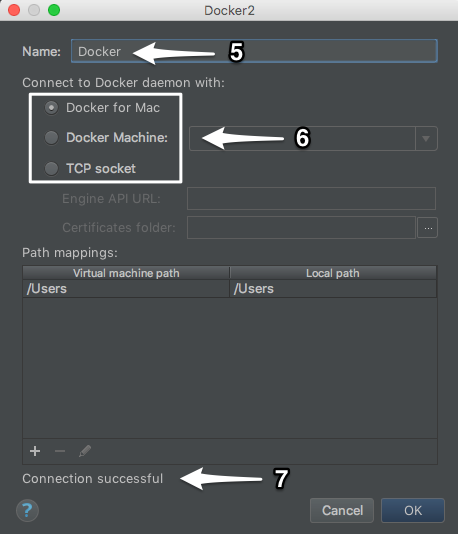 For more details, please look at this TheCodingMachine Docker PHP images. 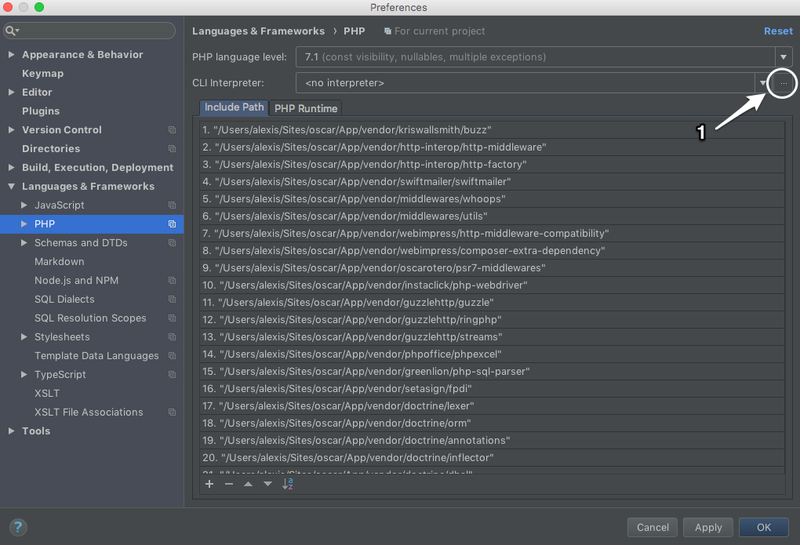 A new windows should open and you should access to PHPStorm debug bar. Now, just go into your php-apache container using docker exec -ti [container_id] bash and run your script manually. 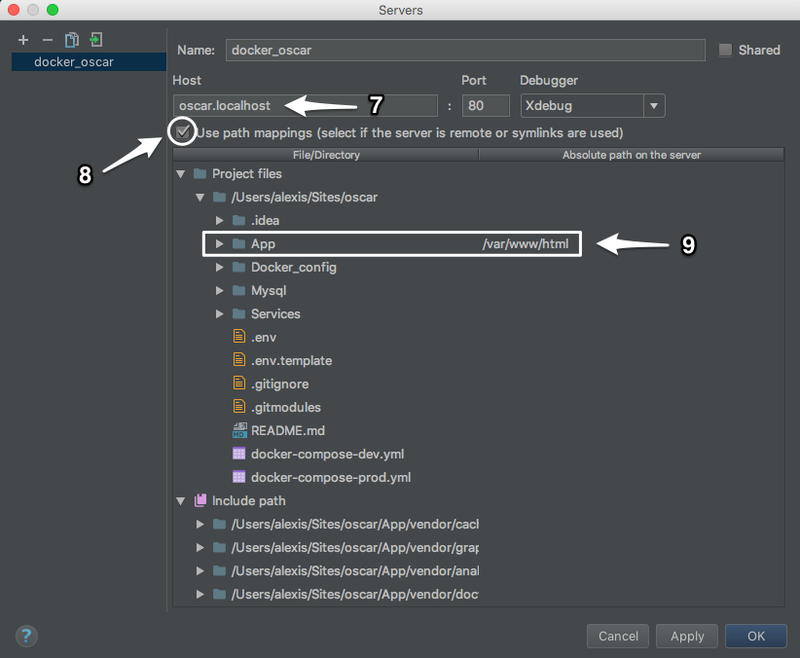 There is a very useful PHPStorm extension to quickly and efficiently manage your docker containers. Done! 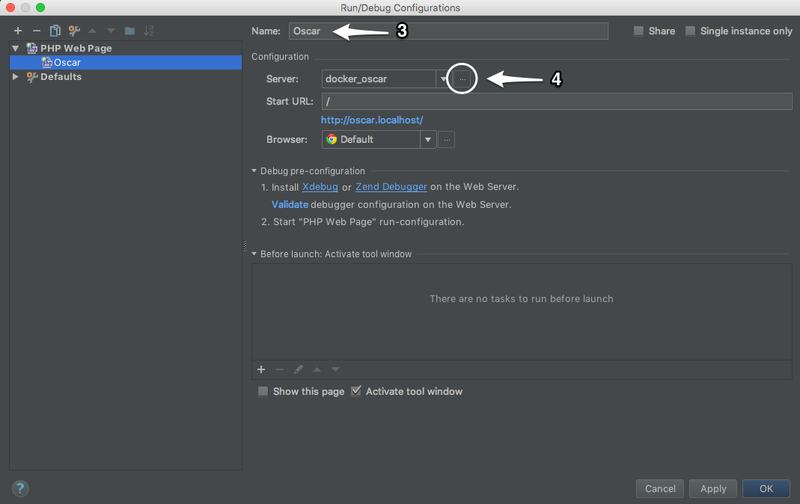 Just click on the Docker button on the bottom of PHPStorm window. Alexis is an experienced technical project manager who manages several projects including Eco-Emballages (CITEO). Graduate of EPITECH, Alexis is specialized in PHP frameworks (Symfony, Laravel, Mouf) and he masters Docker.